The Trans Canada Trail belongs to us all. 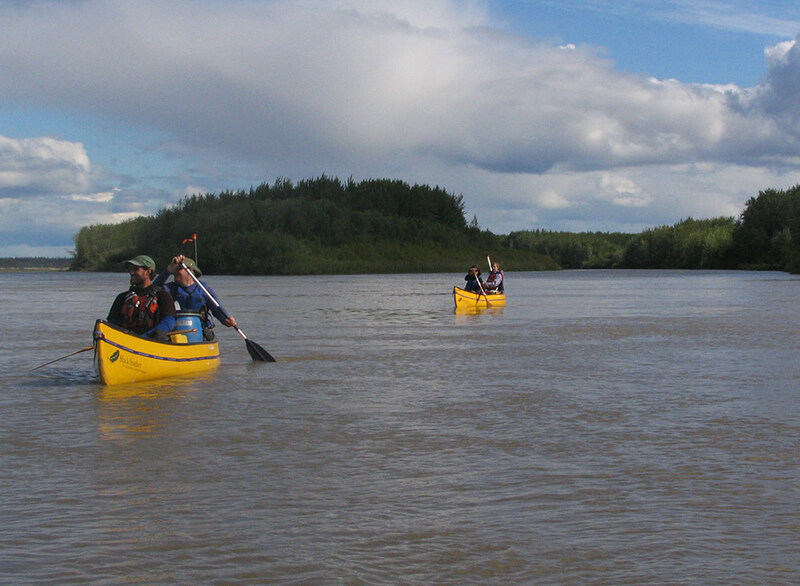 In each province and territory, we head outdoors with our friends and families to enjoy the Trail on foot, bike and horseback, in our canoes and kayaks, and on skis, dogsleds and snowmobiles. We volunteer our time to maintain, build and celebrate our local sections of the Trail. We retrace journeys that have been important to our communities throughout history, literally walking in the footsteps of our forebears. It truly is our Trail. The following people hail from far and wide – British Columbia, Yukon, Germany and points in between. They are Trail volunteers and Trail explorers, young and not-so-young; they are equestrians and snowmobilers, paddlers and hikers; they are long-distance trekkers and locally minded community organizers. What they all have in common is a strong and vibrant connection to the TCT that does us all proud. Dana Meis at a Gatineau River portage, near the TCT in Quebec. CONNECTION TO TCT: A Trans Canada Trail ambassador and long-distance hiker, Dana crossed the country from east to west – a six-year journey of 26 million steps through large and small communities across Canada – and is tackling the northern leg of the TCT this summer. CONNECTION TO TCT: Doug is a true Trail champion. As a director of Island Trails (TCT’s provincial partner) for the past 21 years, Doug helped to set the wheels in motion for the Confederation Trail, a project he saw through to 100 per cent connection last year. Rob Buren cycling the TCT in Hamilton, Ontario. CONNECTION TO TCT: After breaking his spine in a mountain-biking accident in 2008, Robert Buren went on to become the first Canadian paraplegic to complete a full Ironman Triathlon. He regularly uses the TCT for long-distance training, as part of a group that rides to Niagara Falls and back. 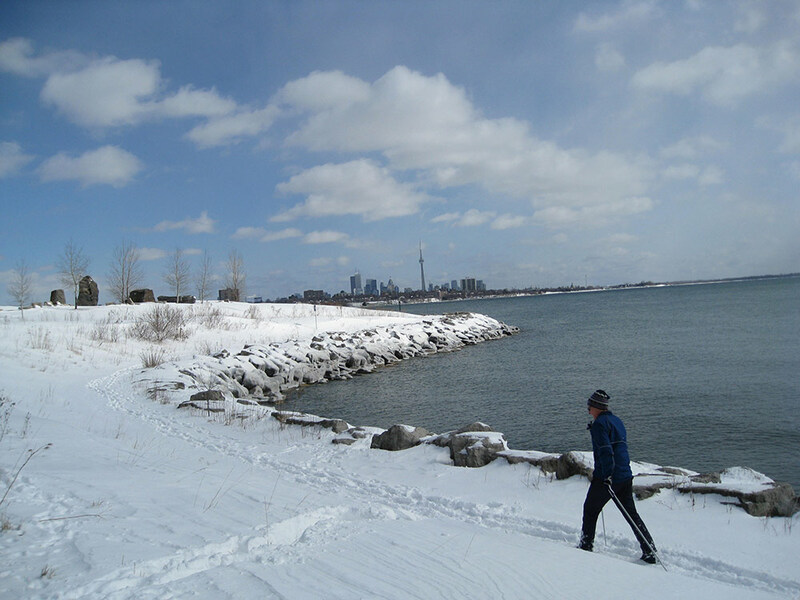 Several times a month, he uses the TCT’s Waterfront Trail to zip in and out of Toronto to meet up with friends. Robert is also an avid mountain biker who is helping to redefine Trail accessibility and inclusion. Melba Seto, Adam Kochanek, Magee Walker and Cedric Schell at their training session with TCT’s National Director of Trail, Jane Murphy, at Ashbridges Bay on the Toronto Waterfront Trail, part of the TCT. CONNECTION TO TCT: As Woods Canada’s Dream Job Explorers, these two couples are on a five-month, 14-stop journey across the Trans Canada Trail. With Team Calgary starting in British Columbia and Team Whistler in Prince Edward Island, they will meet in the middle (Ontario) in July. Along the way, the teams will be sharing updates, videos and pictures on Facebook, Twitter and Instagram (follow the hashtag: #WoodsExplorer). CONNECTION TO TCT: Marco is a 27-year-old German student who embarked on an epic solo journey along a northern stretch of the Trans Canada Trail in 2014. Over 54 days, he paddled 2,700 kilometres from Fort McMurray, Alberta, along the Athabasca River, Slave River, Great Slave Lake and the Mackenzie River trails, all the way to Inuvik, Northwest Territories. CONNECTION TO TCT: As a volunteer with the Klondike Snowmobile Association, Harris tends roughly 200 kilometres of the TCT year-round, working six or seven hours a day, six days a week. In the winter, he packs the snow and grooms it for multiple uses, complete with a traditional cross-country ski track along the side. In the summer, he cuts fallen trees, repairs bridges and checks TCT’s signs. CONNECTION TO TCT: As volunteers with the Club des randonneurs équestre de Portneuf, Gagné and her husband, Pierre Fiset, help plan Trail development, clear paths and build new stretches of the Trail. CONNECTION TO TCT: Mayor Matheson is a TCT Champion and volunteer who is putting the Trail on the map in his community. CONNECTION TO TCT: Lawrence is a longtime director and past president of the Castlegar Friends of Parks and Trails Society. 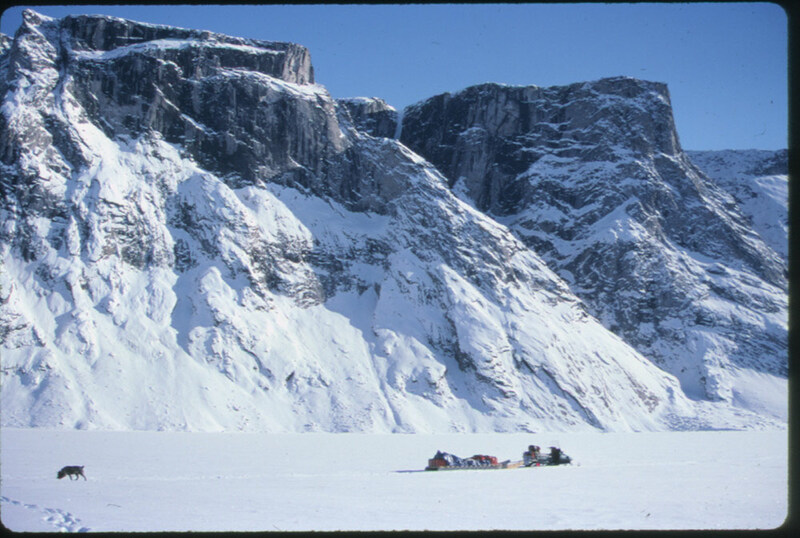 Oskar Nowicki and Sarah McCauley on the TCT near the village of Inglewood, Ontario. CONNECTION TO TCT: From May to September 2014, Oskar and Sarah left their life behind to hike from Inuvik, Northwest Territories, to Drumheller, Alberta, a distance of 3,650 kilometres – mostly along the Trans Canada Trail. CONNECTION TO TCT: President of the Newfoundland T’Railway Council. CONNECTION TO TCT: Joanie and Gary McGuffin are conservation photographers and explorers who have spent years paddling across northern Ontario and photographing its wild landscapes, fodder for their captivating series of photography books. As founding members of the Lake Superior Watershed Conservancy, they were instrumental in establishing the Lake Superior Water Trail section of the TCT. The O’Neill family out for a walk on the Founders Trail, in Trenton Steeltown Park, part of the TCT. CONNECTION TO TCT: Sally and Mick O’Neill, along with their kids Ben and Joe, volunteer with Active Pictou County in Nova Scotia. Working as that organization’s trail development co-ordinator, Sally is passionate about the benefits of the Trail for the community. Meanwhile, 13-year-old Ben is an energetic participant in Trail-building events, clearing brush, laying gravel and building benches. Their Excellencies at the unveiling of Rideau Hall’s Honorary Section of the TCT, 2013.
ver the years, Sharon and I have walked many kilometres of the Trans Canada Trail and celebrated Trail openings in communities across the nation. Everywhere we go, we are always impressed by the TCT volunteers we meet. 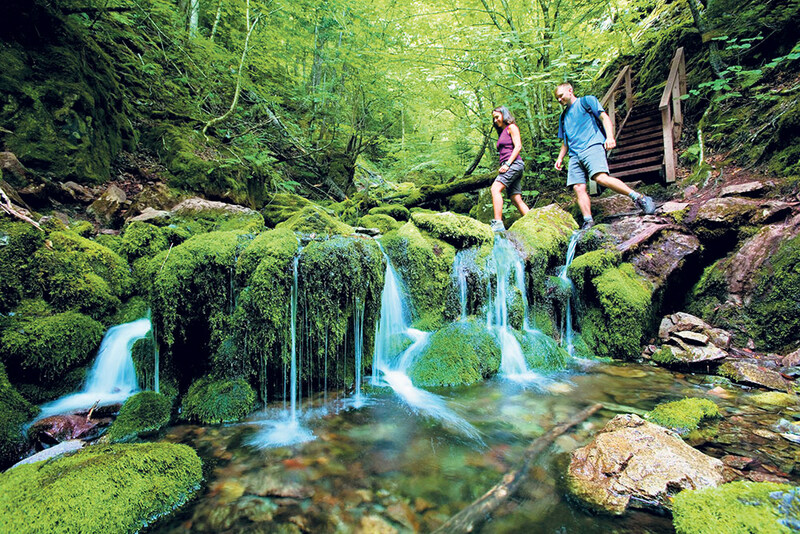 At 24,000 kilometres in length when fully connected, Canada’s national Trail is made up of more than 430 local sections, each one managed by a municipality or Trail group, many of which are volunteer organizations. These dedicated, passionate volunteers contribute countless hours to develop and maintain their community’s trails. 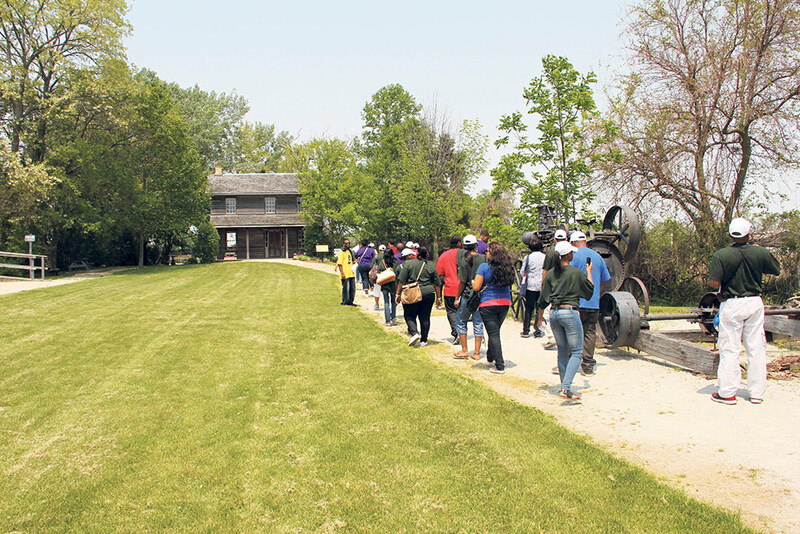 They are part of a massive, sustained volunteer effort – the TCT project was launched for Canada’s 125th anniversary in 1992 and, for the past 23 years, TCT volunteers have been demonstrating their commitment to connecting our country at human speed. When these volunteers give their time and talent to advance the Trail in their own communities, it has a ripple effect – the momentum grows and expands and, before you know it, we are all working together to build a smarter and more caring Canada. There are opportunities around us every day to make a positive difference through volunteerism – these are what I call “giving moments.” I encourage Canadians to seize these moments, and act upon them. Why not make the Trail YOUR giving moment, and get involved as a TCT volunteer in your own community? Sharon and I are pleased to be the Honorary Patrons of the Trans Canada Trail, and we stand by this impressive effort to connect Canada from St. John’s to Victoria and Tuktoyaktuk by 2017. By coming together, we can help achieve this goal for Canada’s 150th birthday, and see the Trail serve as a natural outdoor stage for celebrating this milestone together as a nation. Why do our national champions support the TCT? Veteran broadcaster Valerie Pringle interviews beloved Canadian icons – Sarah McLachlan, Martin Short, Rick Mercer and Tom Jackson – about why they support the Trans Canada Trail. This country would be a better place if all Canadians spent half an hour every day on the Trans Canada Trail. It is good for our physical, mental and spiritual health. That love of the outdoors should be nurtured from childhood. We are famously blessed in Canada with magnificent geography and we are lucky that the TCT is within half an hour of 80 per cent of us. It is a phenomenal resource and treasure for Canadians. The Trail is a magnificent project (the greatest ever!) that inspires the support of patriotic Canadians everywhere, as evidenced by the many faces in this edition of The Globe and Mail, including the growing roster of TCT National Champions on the back cover. We are so happy that a large number of celebrated and accomplished Canadians from many spheres have lent their voices to support the Trans Canada Trail as our National Champions. Four of them spoke to us about their love of the Canadian outdoors and their passion for the TCT. 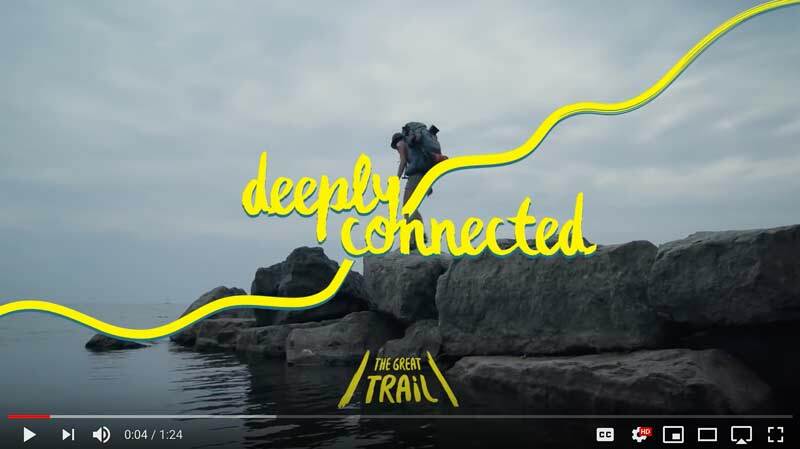 The Trail is a national dream that, when connected, will be the longest and grandest recreational trail in the world, connecting Canadians in nearly 1,000 municipalities from coast to coast to coast. VP: What is your best childhood memory spent outdoors? SM: At my family’s cottage in Nova Scotia, I used to take our 18-foot aluminum canoe out to the middle of the lake, flip it over and spend hours underneath it singing. The rest of the time I spent climbing trees. VP: Where is your favourite outdoor place? SM: The beaches of the Pacific Northwest – but really, anywhere in nature where you can turn 360 degrees and see no signs of humanity. VP: How have hiking trails, canoe routes, urban bike paths or nature walks been a part of your life? SM: I grew up right beside the ocean. I spent my summers free, running and climbing in the woods or swimming in the lake. Now, living in the city, it’s a wonderful thing to be able to escape into the woods and walk for hours, as we are blessed with many large green spaces in and around Vancouver. VP: What is your number one reason for supporting the Trans Canada Trail – what does the TCT mean to you? SM: It’s a wondrous thing to have a trail that unites us all from one end of our great country to the other – it’s a measure of how we, as Canadians, value our great outdoors! MS: Going up to Southampton, Ontario, as a kid, we would spend our days on the beaches of Lake Huron, just living outside in nature all day, for two months each summer. It was paradise. MS: I’ve had a cottage in Muskoka since 1991, about three hours north of Toronto by car. It’s the most beautiful place in the world – spectacular vistas, pine woods, loons calling out each evening. I helped design a $3 coin by the Royal Canadian Mint – the image features the view onto the lake from my property. If heaven was in a loop, it would be that view, looking down from the house to the dock, at sunset. MS: There was never a time when I didn’t love hiking, canoeing, kayaking – it’s always been a part of my life. It started early on – we used to go to Webster’s Falls in Dundas, Ontario, near Hamilton where I grew up. And behind my childhood home, there was a thickly wooded ravine that ran the length of our block and seemed to me to extend forever into the northern wilds. VP: What is your number one reason for supporting the TCT? MS: The more something has focus on it, the more it will be preserved. And the better it is preserved, the longer it will last. 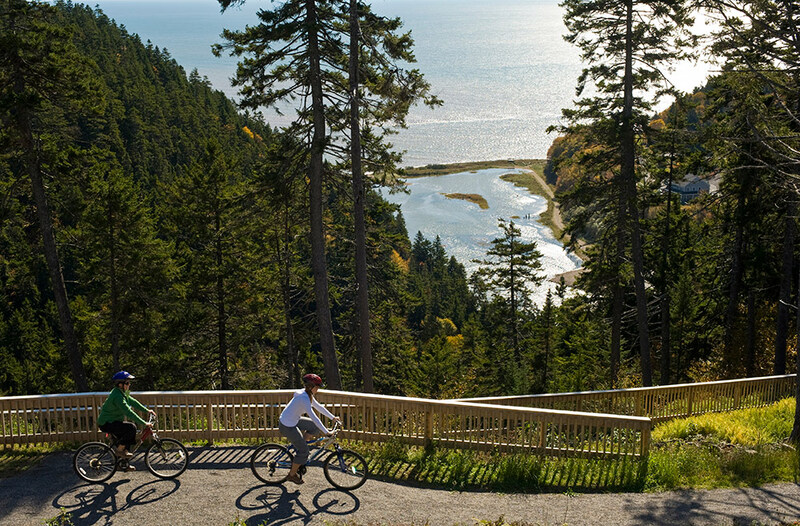 VP: What does the Trans Canada Trail mean to you? MS: It’s a wonderful idea – a brilliant idea, in that it unites Canada. RM: Almost all of my childhood memories involve being outdoors. We lived in a pretty rural area, so as kids we were always exploring in the woods, riding bikes on trails in the woods and building forts in the woods. There were a lot of woods. At the risk of sounding ancient, there really was no such thing as going to a friend’s house to play inside. In hindsight, it was perfect. 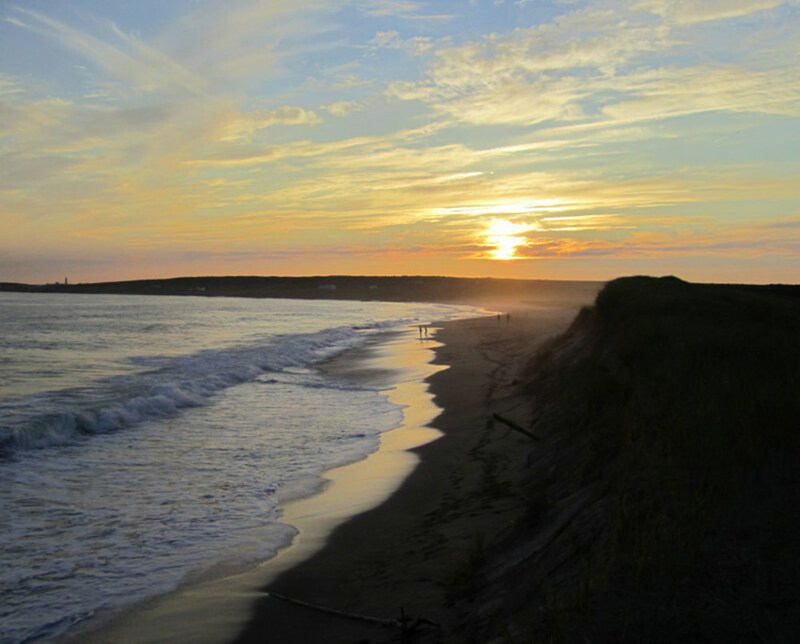 RM: The East Coast Trail in Newfoundland has so many great hikes. I grew up in Middle Cove, Newfoundland, and there are great walks minutes from my parents’ house that take you along terrific cliffs. The landscape there speaks to me like no other. 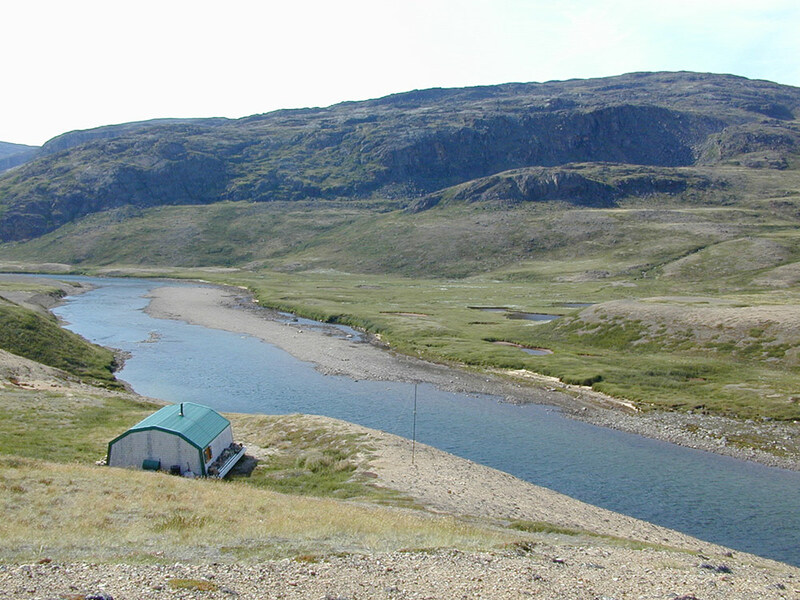 RM: Having immediate access to nature is what I miss the most about living in Newfoundland. But, even in Toronto, there are bike paths in the ravines and I will go there when I need to clear my head. It’s not a path next to the Atlantic Ocean where you can breathe salt air and watch whales, but it beats walking or biking on Bloor Street. RM: It was the development of the East Coast Trail in Newfoundland that led me to support the TCT. The East Coast Trail was one of the most impressive things I have ever seen. It took so much work on behalf of communities, groups and volunteers, but it is an incredible gift to residents and visitors. How can anyone not support the notion of a trail? TJ: During the summer, as soon as the sun came up, my buddy and I would hike through the bush to a clearing and pretend we were Tarzan – we’d pick a tree, climb it, and try to work our way all around the clearing without touching the ground. TJ: Fifty kilometres northwest of Atlin, B.C., there is a seldom-used camp, established by the Tlingit clan hundreds of years ago, where you can sit and listen to the salmon speak. TJ: I like to go on a daily walk, and in the solitude, my head is cleared. It creates a great start to my day. TJ: It allows me to be part of a community that is collectively doing something positive to promote wellness. TJ: As this is our home and native land – yours and mine! – I feel privileged to be a part of the TCT. I represent nothing more than a small step in a long journey that leads to, and constitutes, being a proud Canadian. Happy Canada Day from the Trans Canada Trail!